Painted streetcar art project for Vigo Importing Company. 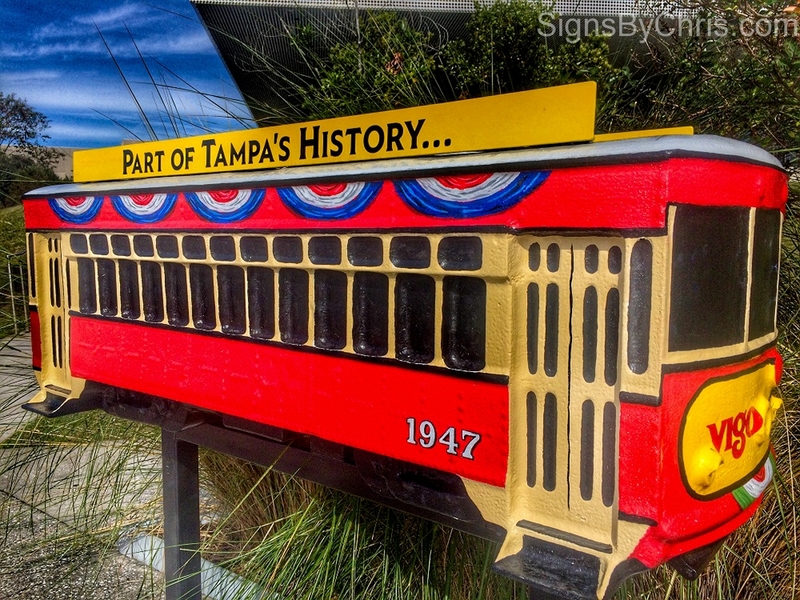 To bring attention to Tampa’s streetcar system, ArtLOUD! 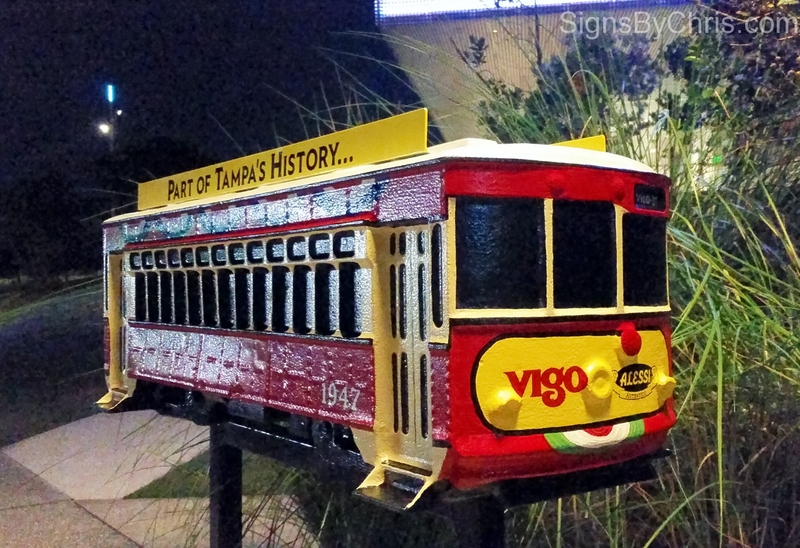 Tampa offered sponsored blank streetcar sculptures to be designed by various local artists. 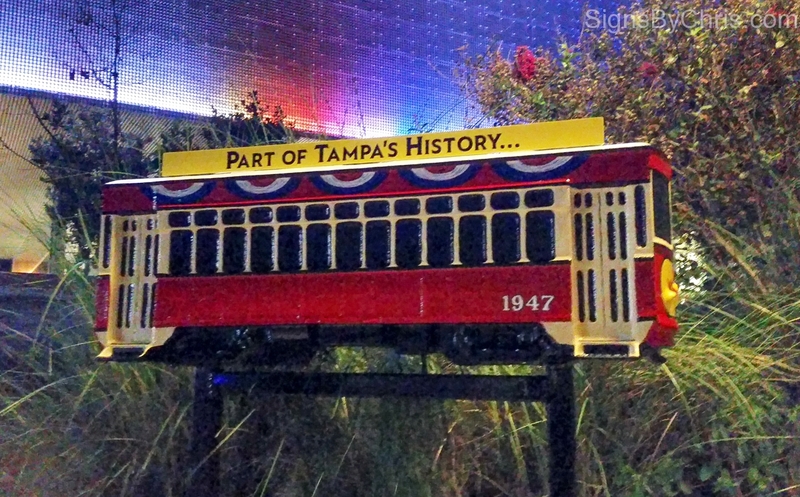 Our streetcar will be on display on the waterside of the entrance to the Tampa Art Museum from November 2015 until October 2016.